(I Corinthians 9, II Corinthians 9, and I Timothy 6). I think many pastors tend to avoid teaching about supporting the church financially because they want to give more positive messages and don’t want to sound like they are putting pressure on people, being greedy, or whatever. But Jesus talked about money quite a lot. Someone did a count and reported that Christ taught about money more than He did about heaven and hell. You can check that for yourself, but the Bible is clearly a book that instructs us about very practical things, such as money. It is the word of the living God, telling us what we need to know to live good lives not only in eternity but also here and now in this world. It may be easier for me to talk about our money than anyone at Open Door because of the position I am in as associate pastor. I receive money each month from your offerings to use for “pastoral activities,” and our family appreciates this very much. But we are not basically financially dependent on the church. As many of you remember, I served for seven years as pastor, but now I have been “promoted” to associate pastor. Being in this role, it is my job to teach the word of God, but I have no reason to beg or pressure you for more money. And still near the beginning of this new year, now is a good time for us as a church family to look at our situation and needs as we plan to move ahead together. Part of this involves tithes and offerings, so let’s go to God’s word again today with open minds and spirits ready to learn. As we look at the life of Christ, I think we see characteristics of His giving that match very well with the type of giving that Paul teaches in II Corinthians 8. What are the marks of Christian giving? They show us what God wants for Open Door Chapel, as well as each of us. His desire is for us to give joyfully, freely, generously, faithfully, cooperatively, and proportionally. Let’s look at each of these a little closer. Quite a few of us remember when people were giving offerings for this church building to be bought. We thought we might need about \50,000,000 to buy land and a building, and we only had about 20 or 30 people at worship each Sunday, so it seemed like a huge challenge. But as we prayed, we agreed to set a goal of \5,000,000. As we gave and prayed and met that goal, it was exciting to see that we were making progress. 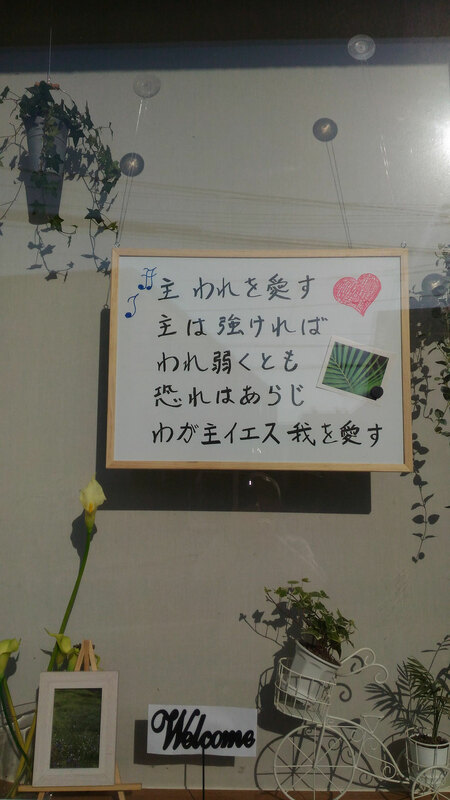 Then we gained more hope when various people who were not even Open Door members contributed money toward our goal. 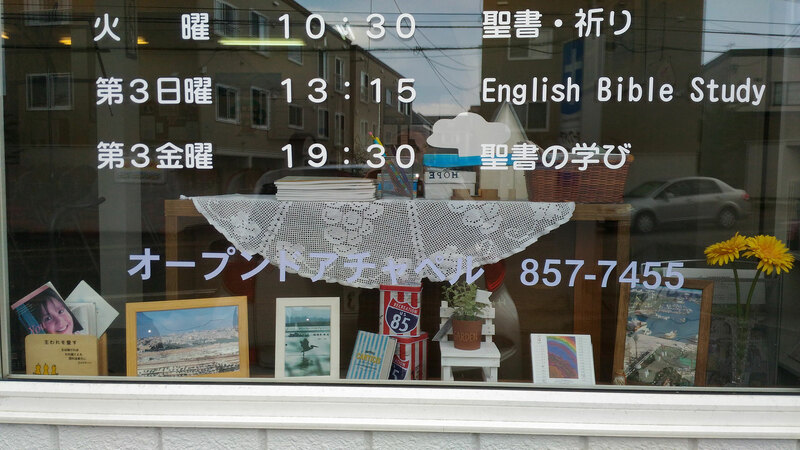 We learned that there was a type of matching-funds support we could request through the Japan Baptist Convention because of a large offering someone had given by selling land in Tokyo before the housing bubble burst. We could see progress quicker and quicker with our gifts doubled. Some of us took money we normally would have given the following year and moved it ahead so we could receive the extra support. Even with all this extra help, it took us years and years to save the money we needed to buy this church building. But I can honestly say that there was joy in seeing this group grow to meet the challenge. And there was great joy when we finally reached our goal. I remember Sherrie saying with a smile on her face that it felt like we had been delivered from Egypt and brought to the Promised Land. I think that was both a comment about how hot the apartment we were renting was (we called it “Oven Door”) and how nice it felt to be in our own place to worship the Lord. We learned what cheerful giving is like. Despite all these teachings, Paul writes to the believers in Corinth (II Corinthians 9:7a), “You should each give what you have decided in your heart to give.” He makes it a remarkably open, free system. Neither he nor Jesus teaches that the Old Testament Law is set aside. It is not. But Christ has brought us from the Age of Law into the Age of Grace, and Paul places the focus there. At Open Door, we have taken that teaching and applied it by saying that no offering is required. We encourage people to give, but we do not insist on it. So our system of giving is free and easy, though it is difficult to say that through it we have put on a lot of financial muscle. On the positive side, we have the blessings of a building and land (though it belongs to the Japan Baptist Convention and we are using it rather than owning it directly). We have many other gifts, including a relatively broad-based leadership team and a high percentage of the church members active in service, even from week to week in worship. But there is no shortage of challenges, and I think we as church leaders need to make sure they are communicated clearly to our members. 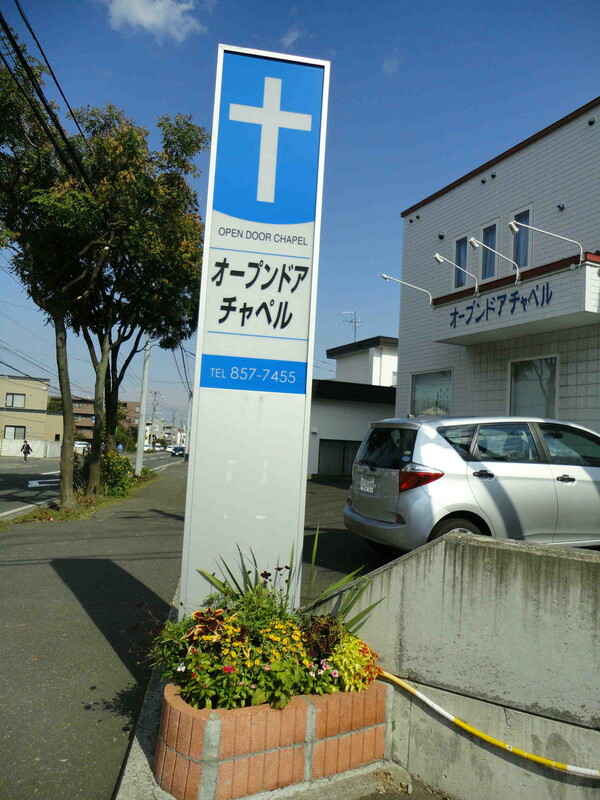 For one, we have been receiving support from the Japan Baptist Convention for support of our senior pastor’s family, but in this program, the funding is phased out steadily. In other words, we need to move from depending on our brothers and sisters in other churches to pay for our needs and become able to fully stand on our own feet. After 29 years, it is time that we do that. But especially in the system we have chosen, it will not happen unless members freely decide to support Open Door’s work financially and in many other ways. The building we are in seems to be in good shape, right? But it will not last forever. How many more years do you think we can go without major repairs? And how does that number compare with the number of years it took to save for this one? With that in mind, it does not seem too early to begin praying actively for God to make upgrading or replacing this building possible. That matching fund is long gone, and our current sources of support won’t last forever. Some of us will be at the end of our salary-earning years, when we have income to tithe, in the not-so-distant future. What will replace this support? We will only see the way forward as we walk in it with Christ in faith. 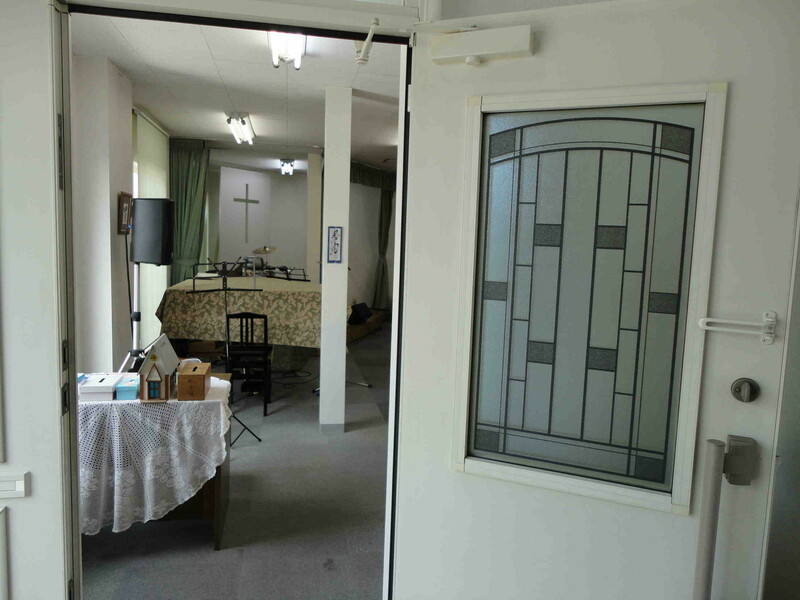 Visiting Living Hope Baptist Church, a member church in our Hokkaido Baptist Association, a few weeks ago opened my eyes to what can happen when a church loses a portion of its members. We had around 10 people present, including three of us from other churches. I do not know the details of Living Hope’s situation, but often in a case like this, unless the lost members are replaced, it becomes difficult for the pastor’s family to survive financially, and they move to another place of ministry. The members may continue working faithfully, but without increased financial strength, the ability to call a new pastor is very limited. Once a church gets on that downward spiral, it can be very difficult for it to make a reversal and move into a healthy condition. In other words, you don’t harvest if you don’t plant, and giving to support God’s work is a type of seed planting. Paul tells us in II Corinthians 9:6, “Here is something to remember. The one who plants only a little will gather only a little. And the one who plants a lot will gather a lot.” He praises the Macedonians for giving generously, saying, “. . . They gave even more than they could” (II Corinthians 8:3b) and “They did more than we expected” (II Corinthians 8:5a). We have seen generous giving at Open Door, and we are grateful for it. But I also feel it is important to remember that all of us need to make sure that everyone who comes through the doors of our church finds the love of God and the truth of His word—things that are truly uplifting—each time he or she comes to this church. When that happens, people will find it much easier to give generously. Thinking of the giving people have done at ODC in the past, I think we have seen that people want to give to something that will last. Weekly offerings for water, snow shoveling, and so on have real meaning, but in some ways, they are quickly gone. By contrast, when people know that their gifts are going toward something beautiful and good and true that will remain for eternity, there is a special will to give generously. So our call as members of this church is to be sure that the offerings we receive are used faithfully (not wasted), used wisely (not carelessly), and used for the work of the gospel (not just nice things but the ones with eternal meaning, to which we are clearly called). More than once in the past few years, we have had to shift offerings from one category to another simply to keep from going in the red. That has meant taking offerings that were given specifically for, say, the church building and using them to meet other expenses. As we come to have more intentionality and planning and stability in our giving, we will become better able to ensure givers that their gifts will be used for the purposes they intend. That will encourage more generous giving. “Your heart will be where your riches are” (Matthew 6:21). The way you choose to spend (or withhold) your money shows what is really important to you, what you actually believe. It often shows a lot more than whether you say you are a believer in Christ or not. This helps explain why Paul praises the Macedonians. It’s because “First they gave themselves to the Lord. Then they gave themselves to us in keeping with what God wanted” (II Corinthians 8:5b). That is not just about meeting budget goals. Their choices about giving were acts of faith. God is delighted when ours are, too. So He teaches us to look at the way Christ gave Himself for us and make that our model as we choose how to give. He says (John 12:24), “Unless a grain of wheat falls to the ground and dies, it remains only one seed. But if it dies, it produces many seeds.” Our Father can use our gifts not only to allow His organization to run efficiently. More, He grows our faith through them and brings us to greater spiritual maturity. Through faithful giving, He wants to bring what He calls “the harvest of your righteousness” (II Corinthians 9:10b, NIV). Fifth, God’s desire is for us to give cooperatively. He has designed His work so that it takes all of us pulling together to make it happen. Paul uses the illustration of a military organization. He asks, “Who serves as a soldier but doesn't get paid?” A fighter who is free of having to work at a separate job to provide a living, as well as go to the front lines to fight, will be able to do his or her best work to protect the nation. But without that strong support system, peace is in danger. We don't want others to have it easy at your expense. We want things to be equal. Right now you have plenty in order to take care of what they need. When I gave my first message to Open Door about supporting God’s work financially 13 years ago, we were handling about \3,500,000 per year. Since then, He has been remarkably kind to us, and our annual church budget has grown to about \6,500,000. We are not a particularly large church, but even at our size, a significant amount of money passes through our hands as we share in the Lord’s work here. At our current financial strength, if we were all members of this church for, say, 30 years, we would handle about \195,000,000. We will all stand before God some day. If we are asked to answer for how we have used the resources He has entrusted to us, will we be able to give a good reply? Are we giving joyfully? Freely? Generously? Faithfully? Cooperatively? Proportionally? Are our gifts deepening our relationships with Him, each other, and the people around us? Are they furthering the work of the Gospel? Are they bringing our Lord the glory He deserves? Let’s pray that, through His grace, they will, more and more as we move ahead together in His name. Loving Father, we join with Paul in saying to you, “Thanks be to God for His indescribable gift” (II Corinthians 9:15, NIV). In giving us the gift of your Son, you have given us your love, all we will ever need, and more. Please help us learn how to live out of thankfulness for that amazing gift. Teach us to give in return to you with the kind of spirit you have demonstrated to us. And, Lord, use our gifts, small as they are, to glorify your name and bring great blessing to many people who need to know your saving love. In Christ’s name we ask it, amen.